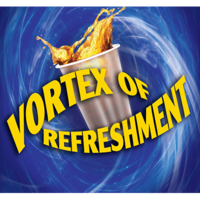 Today, when you order "Vortex of Refreshment by David Regal", you'll instantly be emailed a Penguin Magic gift certificate. You can spend it on anything you like at Penguin, just like cash. Just complete your order as normal, and within seconds you'll get an email with your gift certificate. Vortex of Refreshment by David Regal (DVD + Gimmicks) It's not a card trick, and not a coin trick. It's baffling, amusing, and astonishing. 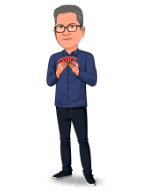 Originally published as "The World's Greatest Invention" in Approaching Magic, it's not a card trick, and not a coin trick. It's baffling, amusing, and astonishing. It can be performed for a room filled with sophisticated adults or at a kid show. Imagine handing one spectator a glass of beer (or any beverage), and another a simple straw mat. You take back the glass of beer, hide it behind the mat for a moment... and it vanishes. You show both sides of the mat - the glass of beer is simply not there. Then you reach behind the mat and produce the glass, still filled with liquid. You repeat the vanish twice more, escalating the impossibility and further confounding the audience. You shake the mat - no glass, no beer. You turn the mat sideways, roll it into a tube... and reproduce the glass of beer to a guaranteed ovation. The glass is not gimmicked (use you own glass), nor is the liquid or the mat... but there is a gimmick and it has been beautifully realized. This is a unique illusion and I have gotten great responses so far. You definitely want to practice the handling extensively before you perform it. There are a few things that can go wrong if you aren't careful and I have managed to experience them first hand. Having said that, it is a crowd pleaser, people think they are getting it, and then a couple of moves later they realize they're not. Patter can make or break the trick, I wrote down exactly what I wanted to say, and rehearsed the patter until it became second nature. The trick is definitely worth the price, it is different and entertaining. I've got thousands of tricks, some are good, some are bad, but they're very few that I can say are simply off the charts, and this is one of them! It took me a couple times to get the hang of it, but in no time, I was performing miracles with a straw mat and a beverage of any kind, this is in your face magic that will have EVERYONE scratching their heads, including magicians, if you ask me, I'd say this is extremely under priced, the gimmick is very clever and of great quality, this is very hard to fail, the biggest hurdle I'd say is creating the patter to go along with the action, you can do this with your eyes closed!! 2 thumbs WAY UP!!!!!!!! David Regal is a genious! All his tricks are awesome. This one is so cool, easy to perform and unique that you will love it. By the way, if you try to get in contact directly with Mr. Regal, you will find an excellent person. He always answer any question! This is a very cool trick. It could be done anywhere,any time.You could borrow the glass or use you own and the mat could be examine before and after. This trick could be done with other things such as cards,silks,etc. Use your imagination and you will be amazed. Get it now,it is worth it and easy to carry around. I see this has been given only has 5 star ratings so far, which frankly I'm surprised. I really wanted to like this trick, but to start off with, at least the one I received, the workmanship on the mat wasn't good. The edges of the mat were bent and not what I was expecting. One commenter stated "It takes minutes to learn". Maybe, but definitely not to master for performance to others. To learn to perform this adequately will definitely take more time than I expected. I'm also not fond of the method. I love this trick! It takes minutes to learn, yet packs a wallop. No one will know how you are doing it as all of the visible props can be passed out for examination. I am more of a fan of Stage Magic than the in-your-face-watch-closely-as-I'm-about-to-melt your-face stuff and Vortex was right up my alley between the blocks of Quaint and Classic. My little brother recently served overseas in Afghanistan. Upon his return, the only thing he wanted was a beer because Afghanistan and other Muslim nations are dry countries where alcohol is concerned. I based my patter around this premise. Thus the "World's Greatest Invention" became my "Magic Prayer Mat". Take it with you whenever you travel abroad. I was performing Vortex within minutes in front of a mirror, taking great pleasure in fooling myself. I went even further with the trick and developed my own effect using red solo cups. With it I can produce multiple cups during the performance by not going the see-through glass route. I'd chug a cup, toss it away, and using the Vortex gimmicks as well as my custom ones, produce yet another. And another. At the end when I pour the contents of the last cup into an empty glass, people tend to storm the stage with hair clippers to see if I have the 'mark'. Not really, but they are sure impressed. Buy it. Well, here's another winner from the brilliant mind of David Regal. It's simply great, hard-hitting commercial magic --- period. As another review has pointed out here, you're limited only by your own imagination in terms of routine and presentation. This gets my highest recommendation! I bought this a while ago, and videoed it. I posted it online and everytime someone recognizes me, they ask how I did it. I tell them I did it very well. this is a great trick, well made and very well thought out. you can make your own patter and tailor it to any show. buy this, you will use it. everything works. materials are great. I might need a new pattern different than the one offered. I ordered this a while back but never got to really try it out.. The idea itself is quite genius, but the gimmick for suspending the beverage "mid air", (at least in my case) ain't that strong, and couldn't handle the weight of even the smallest amount of liquid filled into a plastic cup/"glass". Anybody else having this issue? Or are my gimmicks just too "weak"?